A modern kitchen will not be complete without a fantastic kitchen island. Something that matches the basic design, whether it be rustic or minimalist, colourful or monochrome. The choices are endless and with clever ideas, a boring old kitchen island in a modernised kitchen can now hold a surprising amount of space! A kitchen island is a work area, storage unit and sometimes even a cooking space, but that doesn't mean that it should be unimaginative! Add a creative kitchen island to your home and make your kitchen even more fabulous! This Ideabook showcases some amazing ideas to make your kitchen so much more than just a place to cook! A kitchen island is a perfect place to create extra storage, especially if your kitchen is small. So why not add some shelves and drawers in a reachable spot instead of a towering cupboard? 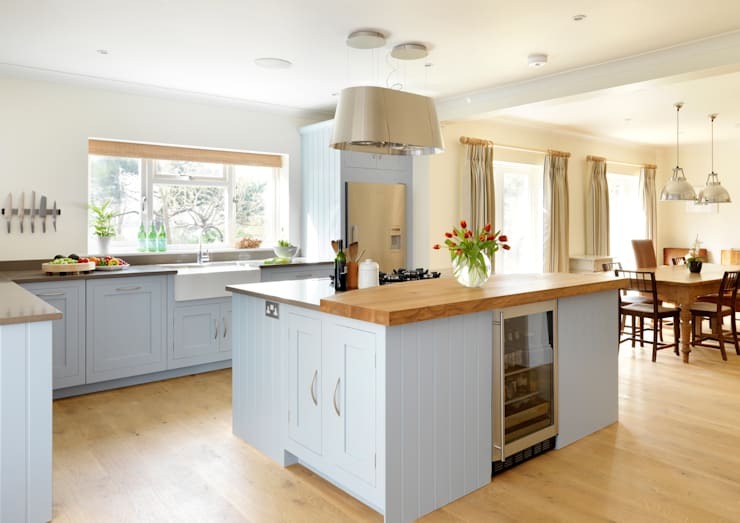 A square island in the centre of your kitchen will still allow for enough space to move around. This space can make an excellent storage area for those small appliances, vegetables or even detergents! So when planning your kitchen revamp, it is important to consider all extra and clever storage areas available in your kitchen! With the advent of modern homes, the idea was definitely to create a space that is a lot more entertainment friendly, especially if you have a shared space between the living, dining and kitchen areas. A kitchen island that allows for seamless conversation between hosts and guests is perfect! This kitchen island idea ensures that you are not cut off or hidden from your guests, but you can still keep an eye on your food that is simmering on the stove. It's an excellent idea for a small home with an open plan environment by the team at A4estudio. If space is not a problem for you, then perhaps consider a larger work space! This is great for those days when you are cooking or baking up a storm and you need space to plan and sort perfectly! More work space means that separating your food from the dishes that need to be washed and those that need to be dried is quicker and easier! 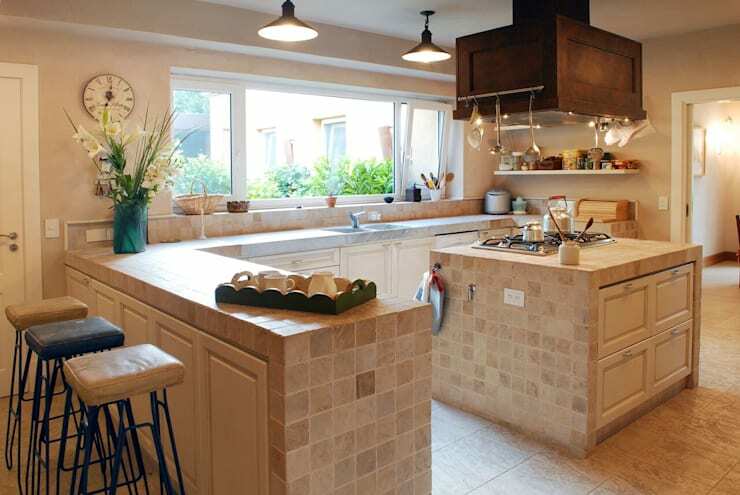 The kitchen will look uncluttered and easy to clean because the space is larger. Not forgetting the fantastic extra storage that can be hidden beneath a larger work space! We love this idea! 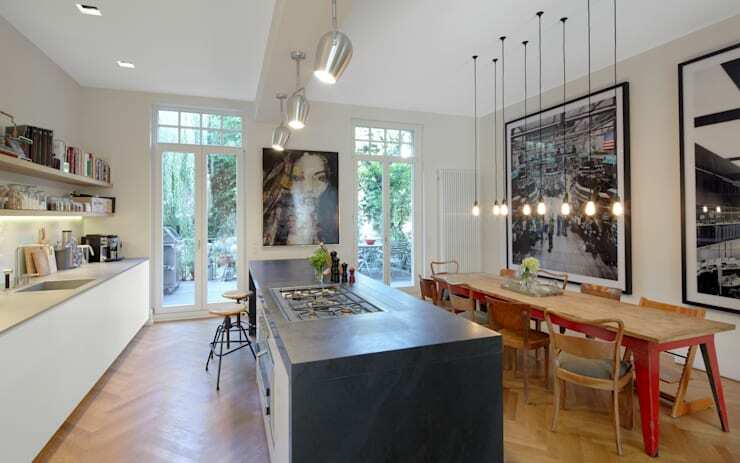 How about creating an eating space in your kitchen with the addition of bar stools? This means you don't have to lay the table in the dining room for every meal, especially if you are only two people. It's a quick and efficient way to have an informal meal together, whether it be breakfast, brunch, a lazy lunch or even dinner! Just cook, dish up and serve! In today's fast paced life everyone is in a rush to get somewhere and do something, but that doesn't mean we need to skip a good meal. Creating an eating area in the kitchen makes eating with loved ones a quick and easy task for the day! 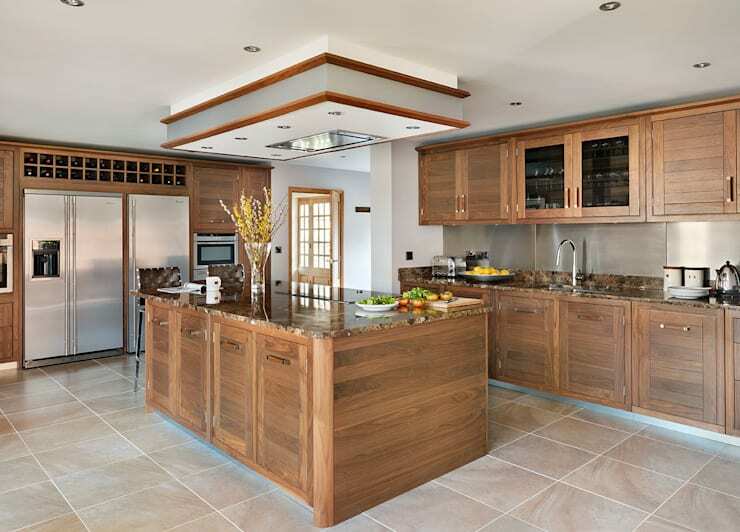 A kitchen with an island such as this, adds a creative means to organising the interior. This space creates a fluid environment between the dining area and cooking space of the kitchen, allowing for informal eating too. The longer countertop creates an excellent way to prepare and serve meals, whether you are feeding two or ten guests! The integrated stove is great, now you can interact with guests and stir that pot at the same time! Never be out of touch with your guests again! A rustic styled kitchen with a centre island, now that has true aesthetic appeal! The all-white cabinets along with the wooden countertop and wooden flooring creates the perfect setting for this fantastic kitchen! The lighter colours utilised are great, especially in a kitchen that is tinier. 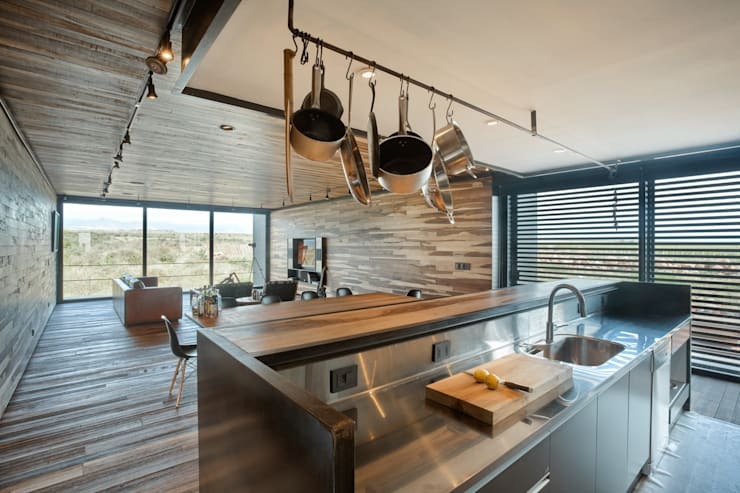 Add in some modern appliances and your rustic style kitchen will be just superb for the 21st century! Who says you cannot combine styles to create your own personal choice? We have come to an end of our kitchen island Ideabook feature, but we have to look at a sleeker and more minimalist design! This modern and sensational idea will make your kitchen island fancy and elegant, as well as stylish and trendy. Now how about calling some friends over for a great meal and good company? 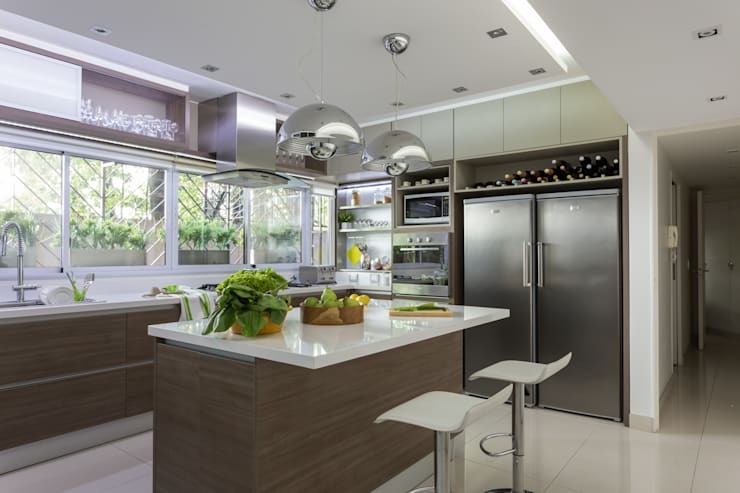 You can entertain them in your revamped and chic modern kitchen! 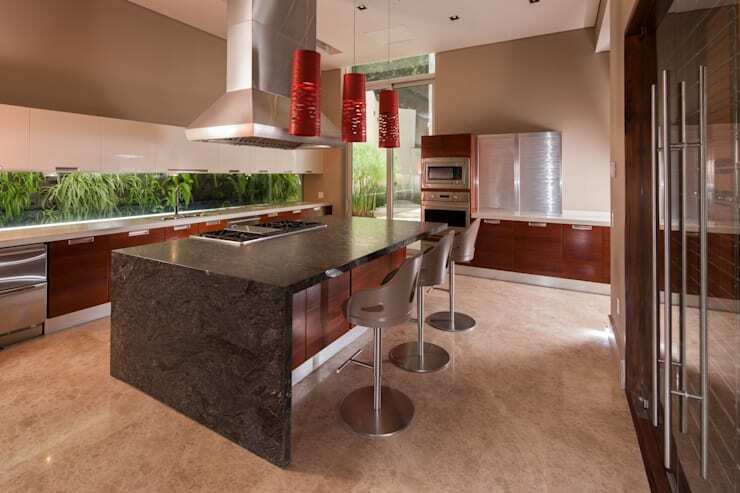 For more kitchen revamp ideas, how about some Cutting edge countertops for 21st century kitchens? What is the most important feature about a kitchen island for you? Do you have one? Let us know!